I was directed here by the powers that be in champ. 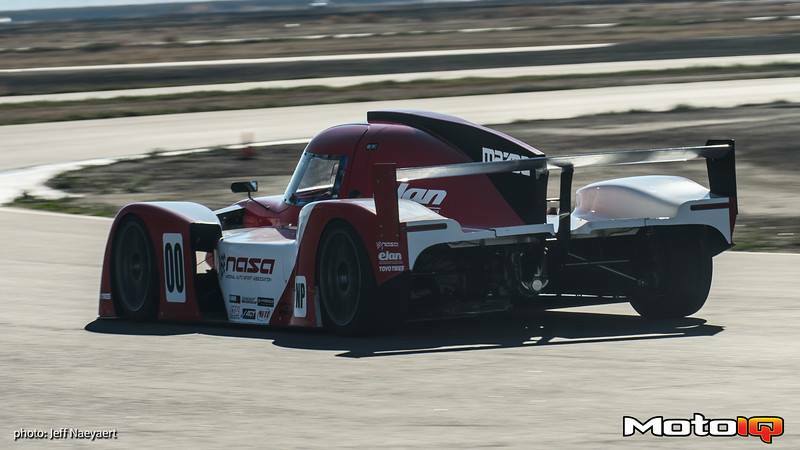 If you guys want Elan (builders of the Deltawing, DP02 and NPo1's) will build an NP01 wing starting around $220. You'll need to make your own stands and can be as wide as 71" they are made from aluminum, they would be legal. We also started offering kits for vehicles such as miatas. We are developing bolt-on kits for hondas now. Not to hijack your thread, but I saw something similar to what you are describing recently on the internet...Not sure if it's the same thing, but they called it "BUILDERS' BIG WANG" on the website. Is that the same thing you are talking about? John, I had seen somewhere the talk was a 5 week lead time, is that still the timeline for one ordered two weeks ago? Yep that's us! 5 week lead time is coming down rapidly. If you order the "builders wings" those are shipping within 2 weeks, and sometimes as fast as the same week. we are slowly building inventory a challenge for a new company. If you order a premade bolt-on Miata kit or want us to weld on the mounts we are still at 2-3 weeks for those. the pre-order Miata wings will be shipping hopefully next week. 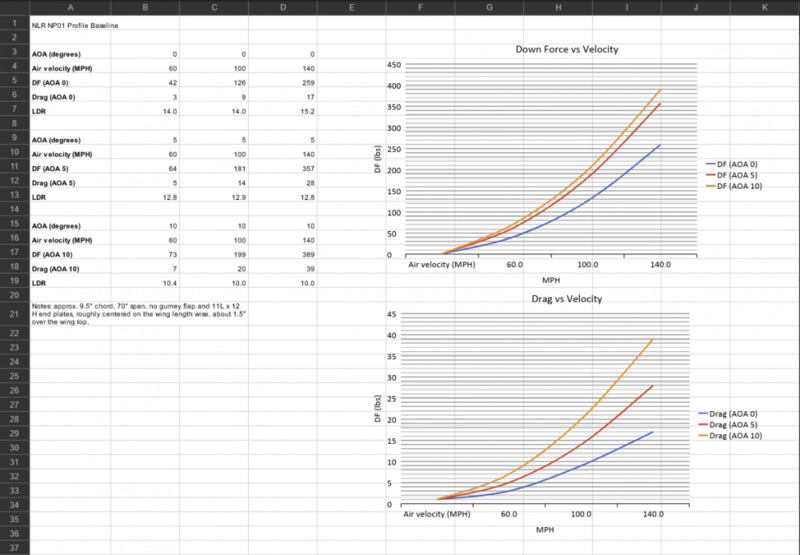 Any CFD data to share? yes but a Disclaimer. the CFD work was done with the wing attached to a car and only 12-6" off the deck. So it's worst case scenario. the higher and more into the open air you get it the better it will work. opposed to our competitors that have open air numbers. those numbers will only get worse the closer you get it to the rear of a vehicle. naturally, if you mount it on 20' telescopic poles in front of the car then it's realistic numbers. mounted test, not open air. *Test 70", mounted on a np01at 12" high, no gurney flap. So since we will not be going 150 mph all the time and most of our cars cant get up to that speed what is the cfd at a lower speed. A ChampCar averages 65 to 90 mph over a race. I think it's one of those engineering type equations. L = (1/2) d v2 s; the forces at 90 mph would be 36% of the 150 mph numbers. "Hey Bubba, what should I do with the rear wing, it ain't working in the slower stuff!" "Crank that sucker up until it slows the car down by 5 mph on the front straight and you'll be fine." Those CD values are really low. I am just a banker remember? That's why I posted the engineer response and the mechanic response; use whichever one helps. The difference between the engineer response and the mechanic response is that the engineer can dissect the data and apply various analytic processes to come up with a mathematical model that should point the team in the right direction. The mechanic uses empirical evidence gathered through experience and testing to come up with a workable solution that uses an easily accessible methodology to get results. I didn't use the green font because there was no sarcasm. Damn. I thought I was on to something. Just emailed these guys last week lol. Dude you coming up to my house ? The CFD numbers we provide are mounted numbers. meaning that at 12-6" off the deck and behind a greenhouse they are the worst case scenario. Mounting it further away from a high-pressure body, and closer to open air the numbers will get better. because comparing two different CFD tests done by different organisations is "a gray area". we post those numbers to Showcase that the wing is, in fact, working at different aoa's. something not done for other aluminum wings on the market. We've done testing with a 60" APR 200 wing vs our 66" offering. We gained 3mph and where able to overpower our splitter at just 2*aoa. something the apr200 couldn't do at 15*aoa. we are having open-air CFD testing being done right now. I'll give you guys a preview. I've always wanted a big wang. So, is there going to be a discount code or something available? Site says they start at $275. for the small wings, they start int he 200's and get more expensive as they get bigger. Awesome, I want a cool wing. as you can see with the CFD of the unmounted and the mounting options, location matters a great deal. ideally, you want it mounted as high as it can be to get maximum DF. Most organizations require the wing be mounted no taller than the roof. I would recommend you abide by that as champ could make that rule in the future. As far as the angle back there are two schools of thought. Mounting the uprights vertical puts downward pressure on the rear suspension. Mounting the wing further back off the car can act as a fulcrum, and lift the front tires. By mounting it very far back you'll increase your need for front areo to balance the car. on our test we have the wing set back at a 50* angle and we used a 3" splitter. this combination balances the car and gives us good performance. All cars will be different but it gives you a starting point.